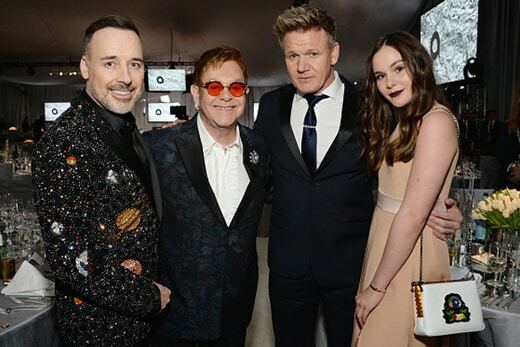 Immediately after the Oscar telecast’s shock ending, Sir Elton John got on the microphone at his annual Oscar viewing party and fundraiser to address a stunned crowd. 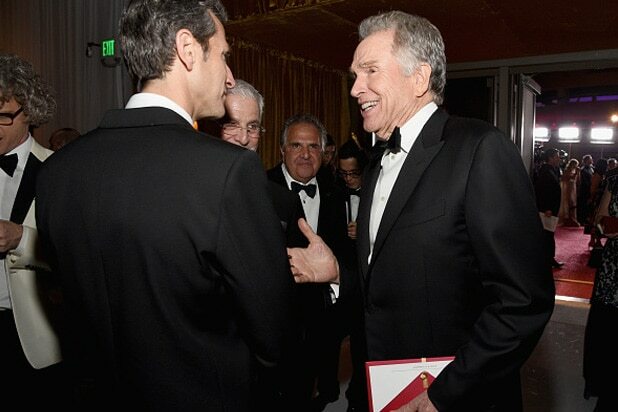 “We wanted Warren Beatty to do the auction,” Elton deadpanned. Before he could begin the fundraising portion of the evening that led to a $7 million haul for the 25th annual event, he addressed the “La La Land” mistake. He then directed the crowd to a key figure in another nationally-televised shock ending to the only television event of the year bigger than the Oscars: Super Bowl LI. 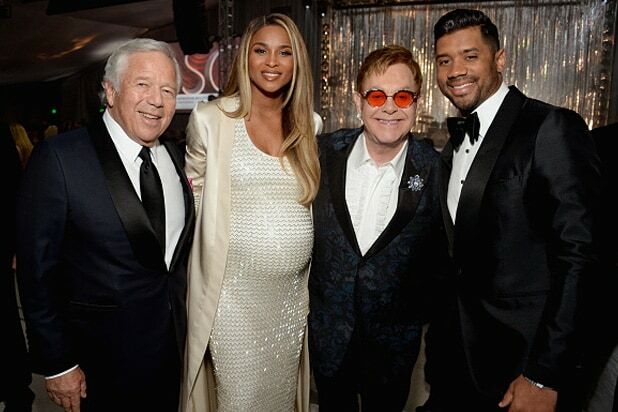 The Elton crowd included Quincy Jones, Jeffrey Tambor, Tracee Ellis Ross, Gabby Douglas, Eli Roth, NFL star Russell Wilson and his pregnant wife, Ciara. 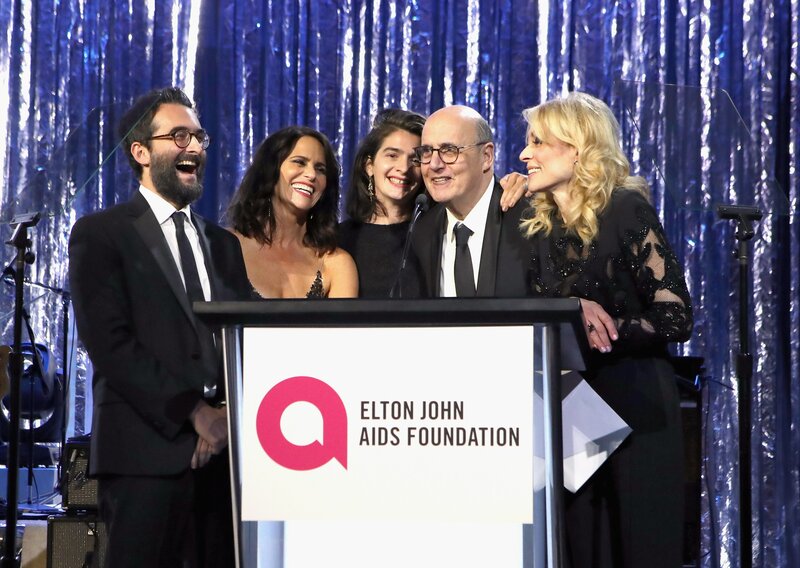 Sharon Stone (seated at Elton’s side at the main table) is a regular, as are Eric McCormack, Chris Hardwick, and the guestlist was flush with LGBTQ icons like Caitlyn Jenner, Ruby Rose, Laverne Cox, Adam Lambert, Candis Cayne and Andreja Pejic. It was a strongly pro-“Moonlight” room throughout the night. Compared to the crowd’s enthusiastic response to Barry Jenkins’ adapted screenplay win midway through the show, “La La” director Damien Chazelle’s win over Jenkins later in the night garnered no notable applause here. However, as it played well everywhere else, Viola Davis’ speech went over big at this viewing party. Organizers really put the “view” in the viewing party this year, keeping the lights down low throughout the night. This led to people staying in their seats most of the night and actually watching the telecast, and also cued guests to “stay put” during ABC’s commercial breaks, when the actual commercials were replaced with a parade of celebrities making live pitches for donations. “At this party it’s not rude to be texting on your phone,” Judith Light said, flanked by her “Transparent” cast members Tambor, Gaby Hoffman, Amy Landecker and Jay Duplass. Donations via text with inspirational messages flowed across the screens. EJAF’s Scott Campbell fired off the first one of the night — for $5,000. 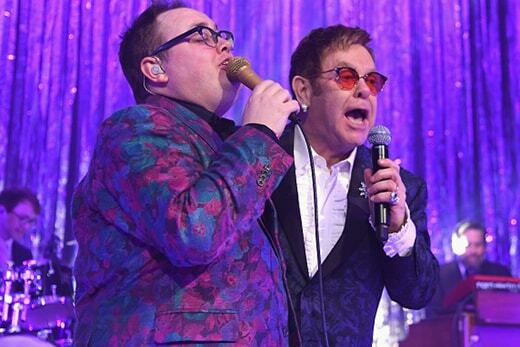 Overshadowed by the shock-ending aftermath of the show — that had Elton and husband/EJAF Chairman David Furnish’s guests standing up out of their seats yelling “What?! ?” — were some remarks Elton made about his and the foundation’s philosophy towards Donald Trump. The EJAF will be freshly-loaded to work with people from the huge haul on the night. Beyond donors and sponsors like Audi, MAC Cosmetics, BVLGARI, Neuro Drinks, and philanthropist Diana Jenkins, the tally clicked higher on account of some outrageous auction bidding. 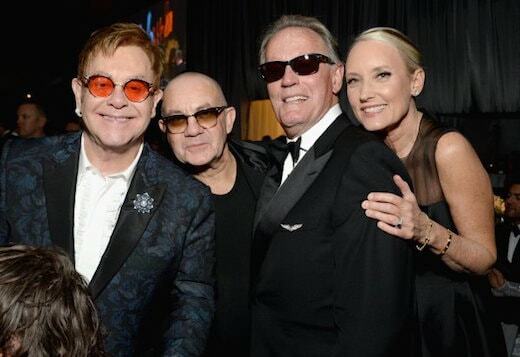 One man from Germany put up $75,000 for two tickets to the Vanity Fair party, leaving the EJAF party shortly after with a sealed box marked “Vanity Fair.” A 1970 photograph print of Elton and songwriting partner Bernie Taupin went for over $140,000. A stay at Steven Tyler’s Hawaii estate brought in $70,000. All donations on the night were matched dollar-for-dollar by Survival Pictures’ upcoming feature “The Promise” (Christian Bale, Oscar Isaac) which tells the story of the Armenian Genocide at the outset of World War I. Terry George (“Hotel Rwanda”) directs, and was on hand to address the audience. With the film fully financed by the late businessman Kirk Kerkorian, all producer proceeds from the first dollar will be donated to organizations including the EJAF. Open Road releases the film next month. After the auction, Sir Elton joined St. Paul & The Broken Bones on stage for a set that finally put everyone on their feet for the rest of the night. Speaking of the rubber slip-on shoe that often serves as a proverbial fashion “concession speech” on awards nights, Amazon Studios handed out flip flops at their party over at Delilah in West Hollywood. 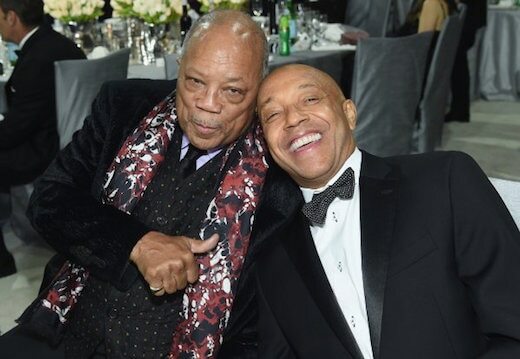 Casey Affleck was inside that bash that, like the EJAF, had been going on since 4 p.m.
Back at Elton’s, the party reached its peak around 11 p.m.
Russell Simmons was cruising through the tents talking on his phone (wearing both earpieces of a set of headphones) and the bars were down to using plastic cups for champagne, having retired the glassware. Gary Michael Walters, the Bold Films CEO/Co-Founder behind three of Ryan Gosling’s huge hits, and who produced and financed Chazelle’s first film “Whiplash,” had a unique perspective on “La La Land’s” yanked-away Best Picture moment. As for any Jimmy Kimmel collateral damage in the snafu, Walters was similarly optimistic. As the night wound down at Elton’s, Sting rolled out of the West Hollywood Park complex just before midnight. The singer, wife Trudie Styler, and their entourage piled into one SUV. While Sting said “I’ll take the front,” and hopped in shotgun, three of his friends opted for the caboose. Also Read: Halle Berry's Wild Hair at Oscars Divides Twitter: 'Vintage Whitney' or 'Bride of Frankenstein'? 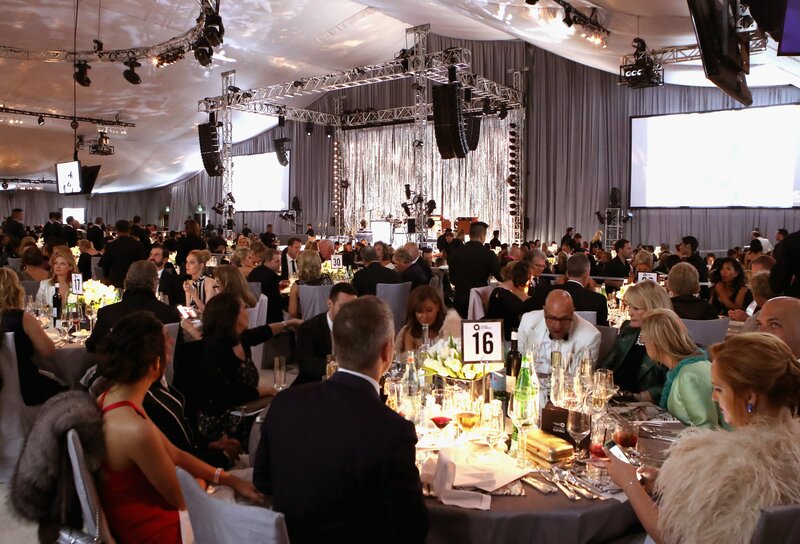 Over the quarter-century, the EJAF has now raised $385 million after Sunday night’s raise. 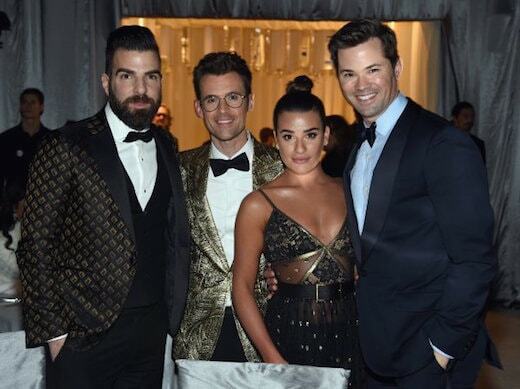 What started at Maple Drive restaurant in Beverly Hills, then moved to the parking lot across from world-famous gay bar The Abbey in West Hollywood, and was a partnership with InStyle Magazine for several years. As it grew in the 2000s, the EJAF relocated to the Pacific Design Center plaza (where HBO throws its Emmy night bashes) before the City of West Hollywood began donating the park on the west side of San Vicente Boulevard for the past several years.